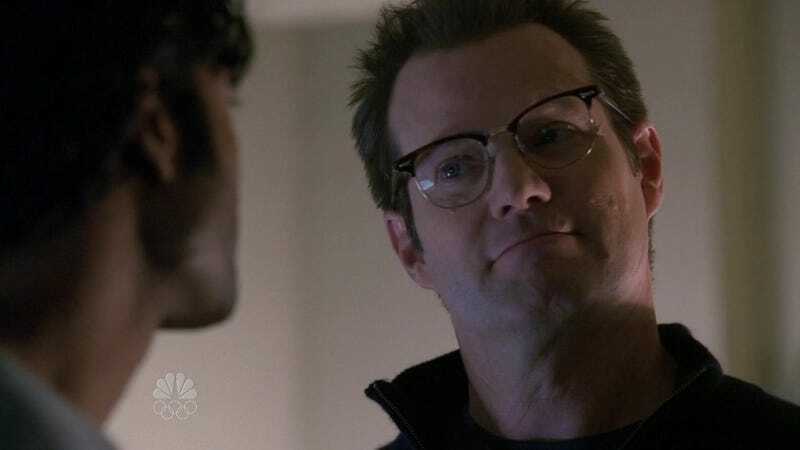 Jack Coleman, a.k.a. Horn-Rimmed Glasses guy, a.k.a. HRG, a.k.a. the only character that didn't make us want to punch ourselves in the face every time he was on-screen, will be joining NBC's 2015 Heroes reboot. I'm curious to know who else from the original TV series might join him. Zachary Quinto is a movie star, more or less and Hayden Panetierre is on Nashville, so I think they're out. I can't see Milo Ventimiglia returning to the series. Masi Oka has a recurring guest-role on Hawaii 5-O, but I bet he'd give it up to join a new Heroes as a full-time star. Greg Grunberg, Ali Larter, Sendhil Ramamurthy... Heroes did none of their careers any good, so the question is whether they're more desperate for work than bitter at the series. Question: Would you even want any of the original characters back? Frankly, after four full seasons of Sylar having daddy issues with every single male character who wandered onscreen, I never care to see the character again. Give me HRG and let's start with an otherwise clean slate. Who's with me?